Center your dining experience around the sophisticated Grand Estates collection. 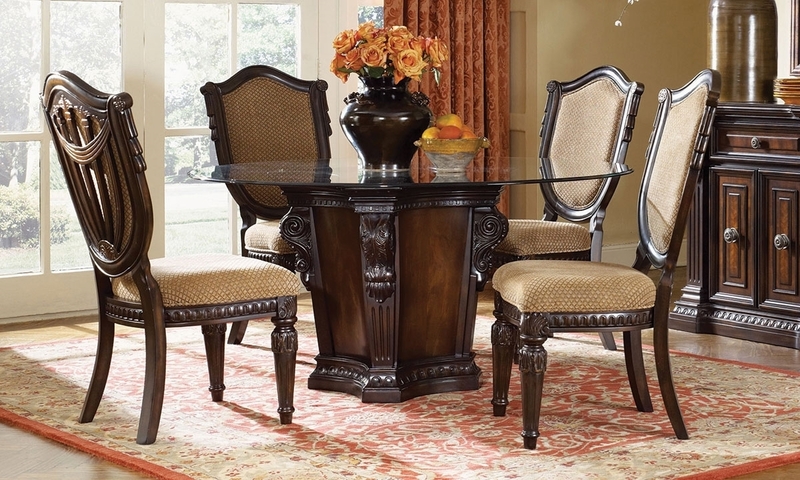 This five-piece group showcases a 60-inch round tempered glass table top on a stylish pedestal base accented with dentil molding, intricate corbels, fluted details and delicate walnut inlays. 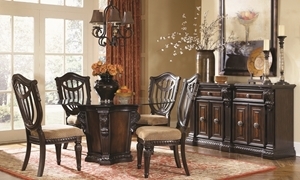 Complementary gold fabric is tailored to the four included lute back side chairs, adding depth to this dining set’s rich cinnamon finish.